Wondering if I should put staggered wheels on my new (to me) E350. 4Matics have a square setup, not staggered. But I know there are people on the forums that run staggered on their 4Matics. I think 4Matics have a rear bias so staggered can be viable. But stock they're square. ah - thank you! I don’t particularly need nor care for staggered, so a uniform wheel and tire fit around all four works for me. Yeah, square is better, you can rotate them. 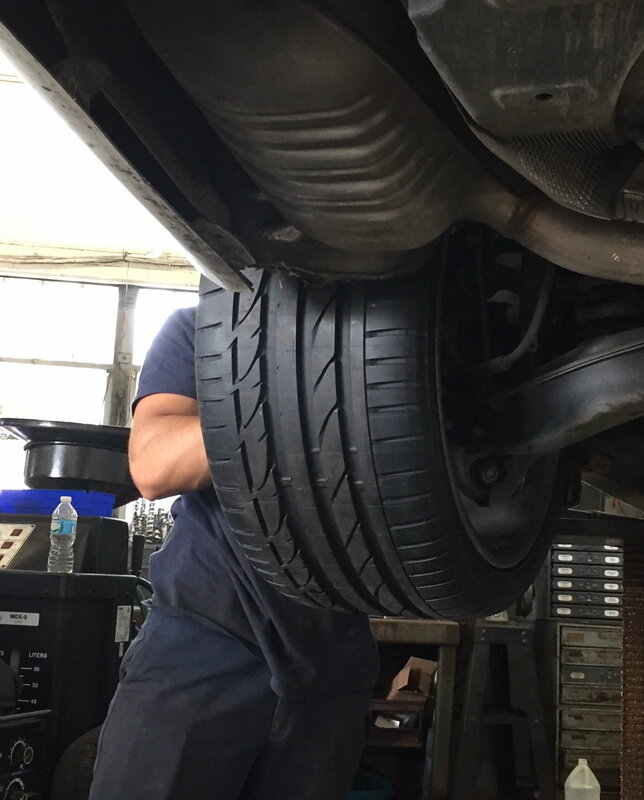 Staggered tires wear out twice as fast which is why you get half the normal tire mileage warranty if you have a staggered setup. I wouldn't bother with replicas. There's a big debate as to whether they meet OEM specs or not. Most say not which is why they can make them so cheap. And OEM refurbished ones aren't that cheap. I'm not having much luck with rims lately, just had a cracked one and a bent one, had to buy two rims. My advice is to keep your rims and when you replace the tires, get it from a tire company that has a road hazard warranty. also lost some tires to bubbles and flats and they came with the car so had to buy new tires. Just use a tire diameter calculator, and try to get the front and rear within 1-2% difference maximum. Think about it... even with normal square stock setup, there is wear-and-tear and there is a tire difference bound to happen. The differential will take care of most of it, unless you have a locked differential. My staggered setup on my 4M is .1% difference front to rear 245/35-19; 285/30-19. I only run those in the summer. Too many potholes and cold in the winter. Thanks for the input, everyone. I think I'll go with a uniform setup so that I can rotate tires and keep things simple. Are any E63/S63 AMG wheels bolt-on and acceptable? 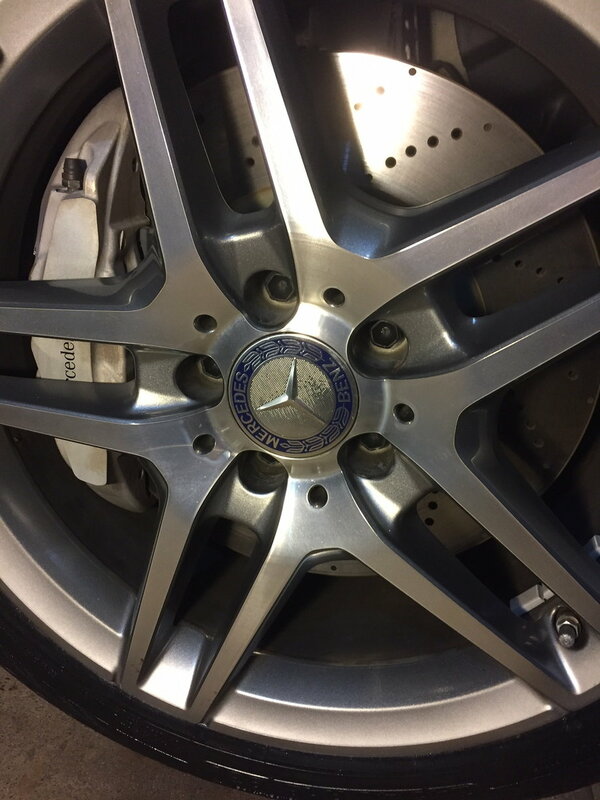 I'm probably going to shoot for Mercedes-brand wheels or a reputable non-eBay replica. 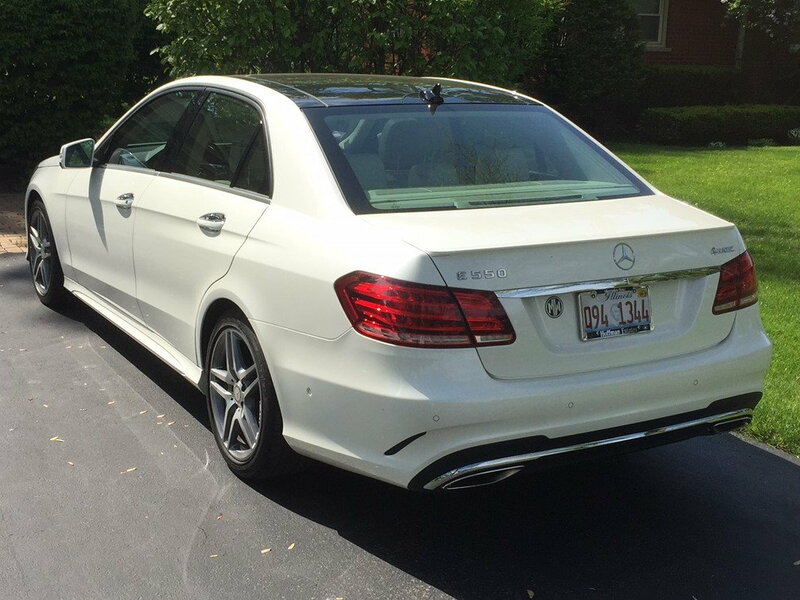 19 inch S63 knock-offs are on there now, but with one cracked, I'm in the market for new wheels. 19x8.5 in the front, 19x9.5 in the rear, and 245-40-19 all around. I was so confused at first. I think I'm going to get a new set of wheels anyway because I cracked a wheel here and I want something nice and new for the summer. I specifically set out to buy the OEM E63 AMG 19” wheels for my 550 4M and then chose the size tires that would limit circumferential differences front to rear to save my transfer case from potential damage. You can chose different size tires than I have, but I don’t believe there is a tire setup that is any closer to being equal front to back. I don’t believe in buying replica wheels. I will certainly buy aftermarket, but not a fan of replicas. It’s my own personal preference. There are many 19” wheels out there. Also check the tire and wheel section of this forum for options by members. Ah, cool. I'm guessing you're running 19x8.5 and 9.5s then? I'll probably end up doing the same. I recently found out about quality 'replicas' so I was thinking of giving it a try. Could always sell them off, or even decide on some cool aftermarket ones. I'm probably going to go with that tire spec though. Does the back bulge any? Any what offsets are those wheels you're using at? Find them sufficient? Whatever I have on there now is super aggressive and I don't mind them coming in a wee bit. Last edited by Pregonation; 03-05-2018 at 11:24 AM. Once again, I only run them in the summer months. No bulge and maybe 1/8" poke in front. The handling is night and day from these to my stock square setup that I am on at the moment. Those offsets confused me until I realized the current set I had on with 38mm offsets were concave. I'm going to go with some 45mm offsets of the other E63 style wheel I've seen recently - given the design of the wheels. I have to say it's a little bit confusing to see your set of wheels with 38mm and 52mm and another set of uniform 45s. I guess I'll just have to put them on and see how it looks. That wheel is the replica of my 18" AMG wheel, but in a 19". Stock offset is ET48 all around for the OEM wheel. Ah! Very cool. I know forums can seem faceless and as a result thankless, but I appreciate you replying to some random internet dude. You've got some great information. Given the replicas are 19x8.5 and 19x9.5, I imagine the 45mm offset would actually be pretty flush with the fenders and a bit more aggressive than stock, since those OEM 18s in that photo I imagine aren't as wide. Correct. They should look good. 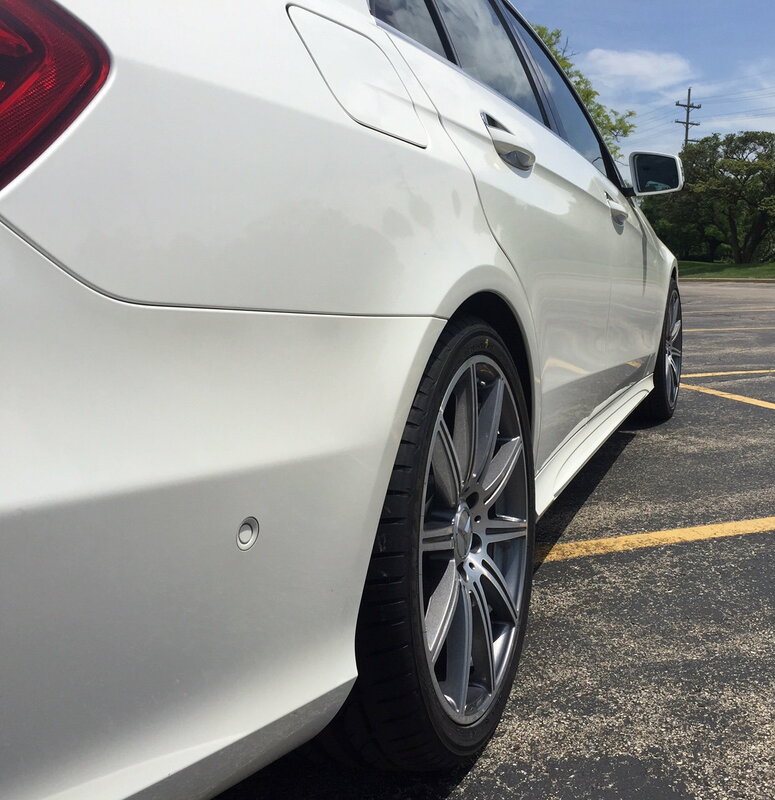 The stock 18" AMG wheels are 8.5" wide. Yours would be pushed outward a bit more, but not crazy. There are people here running way more aggressive offsets if you look around, but then you risk rubbing, etc. Those tires look perfect for the wheels, too. Tiny bit of an overlay so you don't risk curbing the hell out of them. I also believe that's stock spec tire sizes. What brand tires are you using? They look great. I'm thinking Conti ExtremeSports or Pirelli P Zeros personally.